This is a cedar roof we cleaned in Cudahy WI. that was covered in moss and trees . This home was getting ready to hit the market for sale. We definitely brought curb appeal back to his home with this maintenance cleaning to his cedar roof. 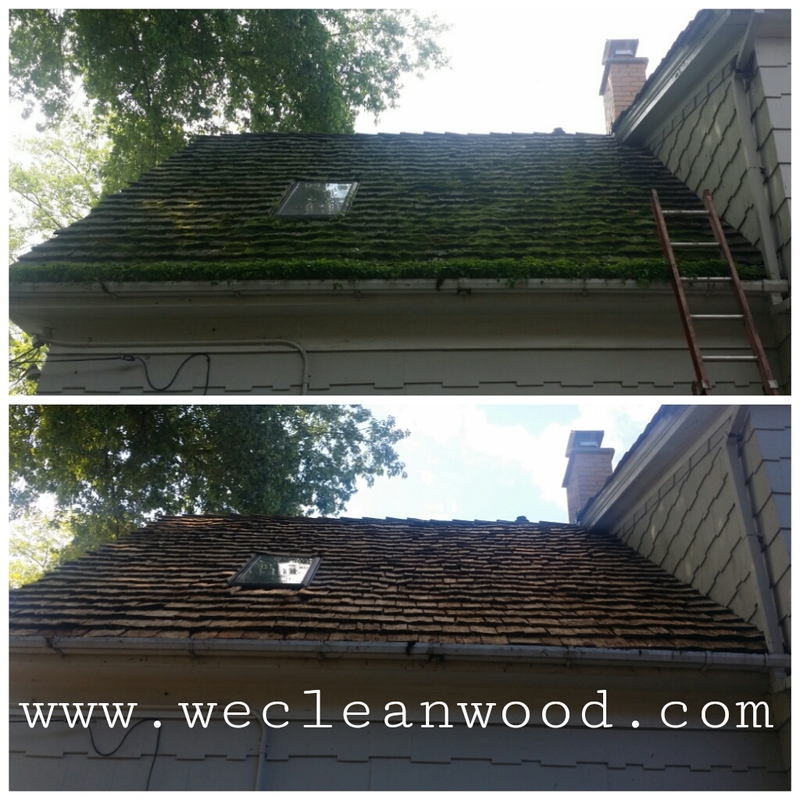 The algae and moss were treated then washed off and the cedar roof can now show its natural beauty. If you have any questions about our service please feel free to call us. Previous Previous post: Clean those roof stains!!! !